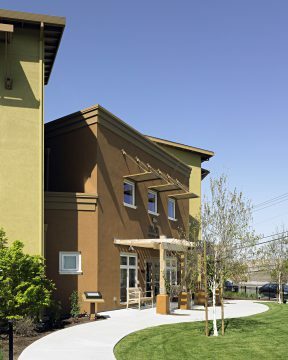 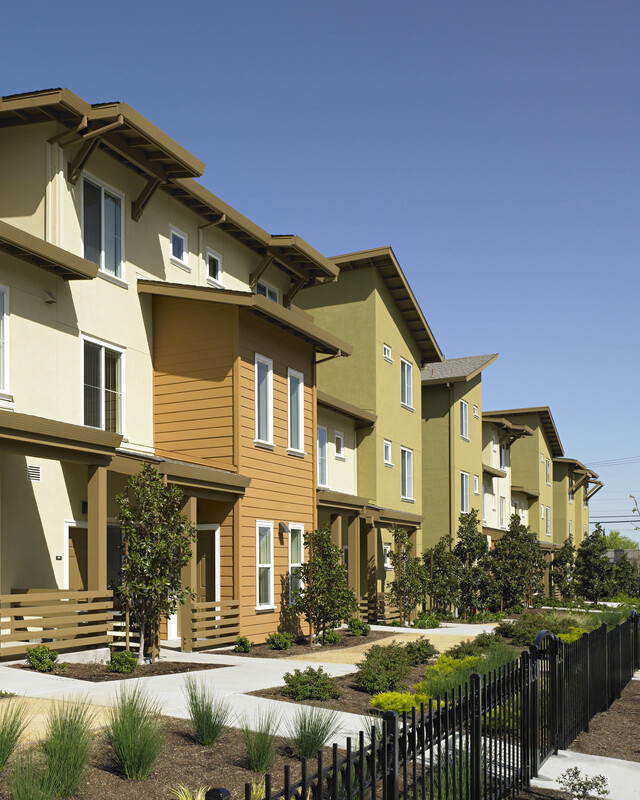 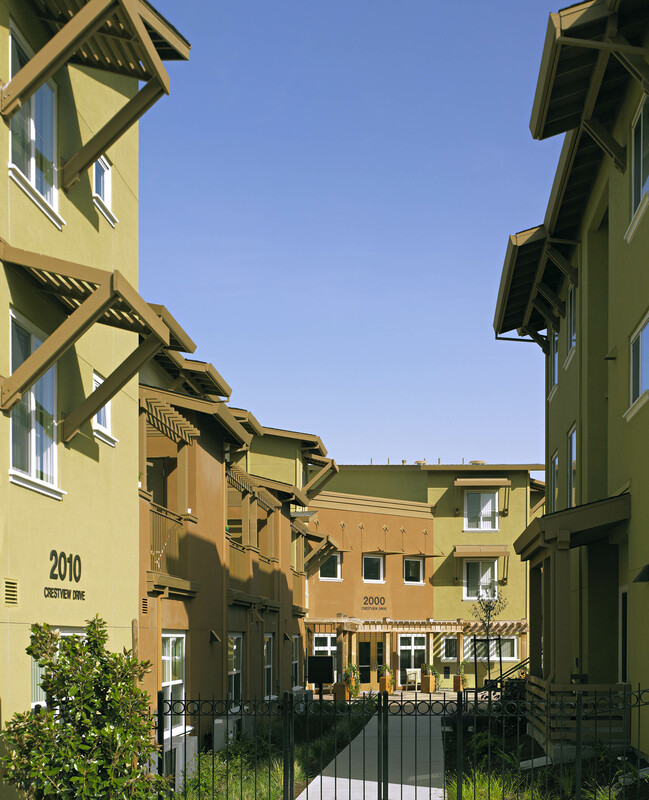 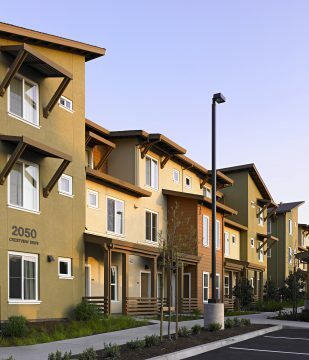 Los Medanos Village provides 71 units of affordable rental housing for families in Pittsburg, CA. The development was broken down into 7 buildings to better relate to the scale of the residential neighborhood. To encourage ownership of the project by the residents, and to enhance safety, all units have front porches, individual entries, and views of the street and common spaces. A community building provides classroom space for supportive services and spills out to the patio and central courtyard where two tot lots, a play lawn, and a resident garden encourage interaction among the residents. 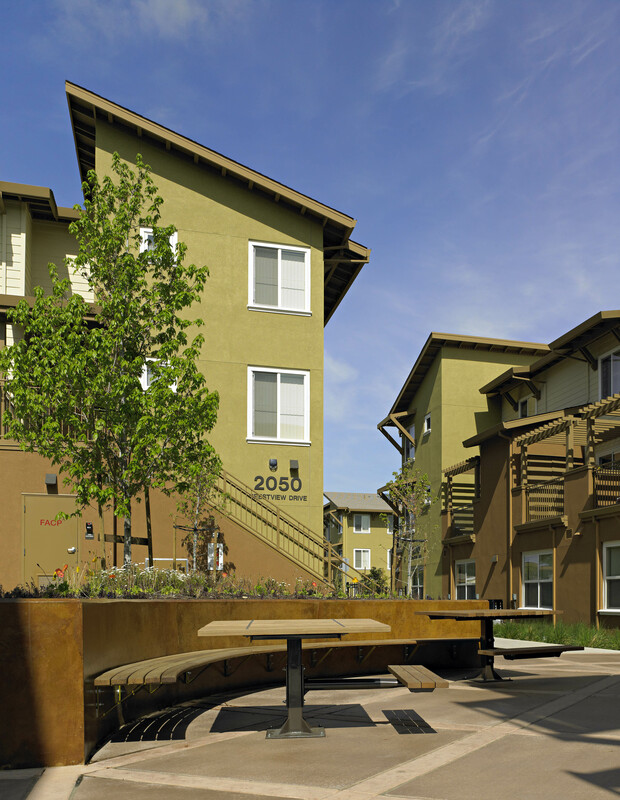 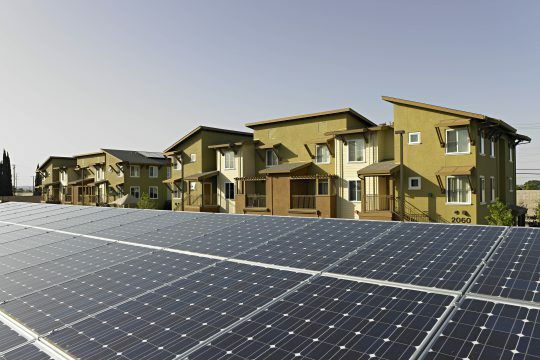 Environmentally preferable materials, solar thermal hot water, and photovoltaics help Los Medanos Village be a healthy place to live. Provide an affordable, safe environment for families to live and supportive services to help them thrive. 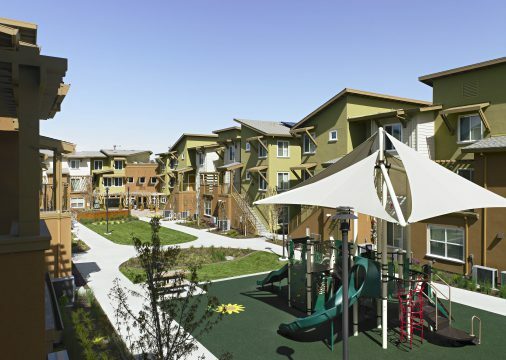 Develop a 71-unit community of affordable family rental housing.